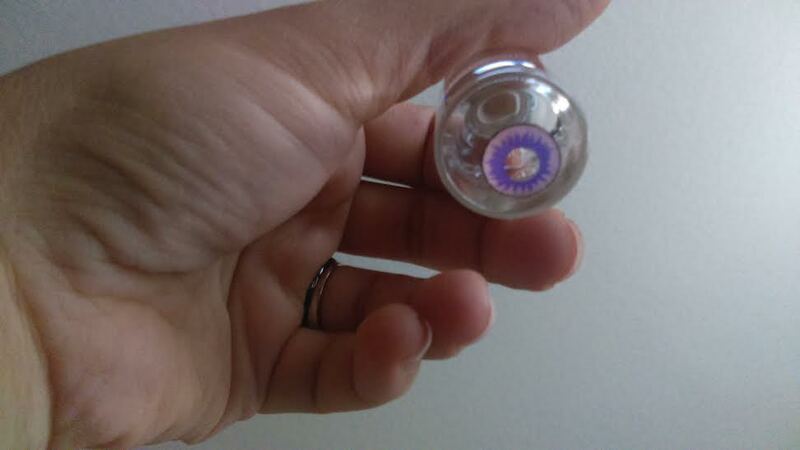 Yup, here is another one of my crazy contact lens posts. You know I love changing my eye color...I've talked about how much I love the color purple and guess what? These are my new purple wolf color contacts. 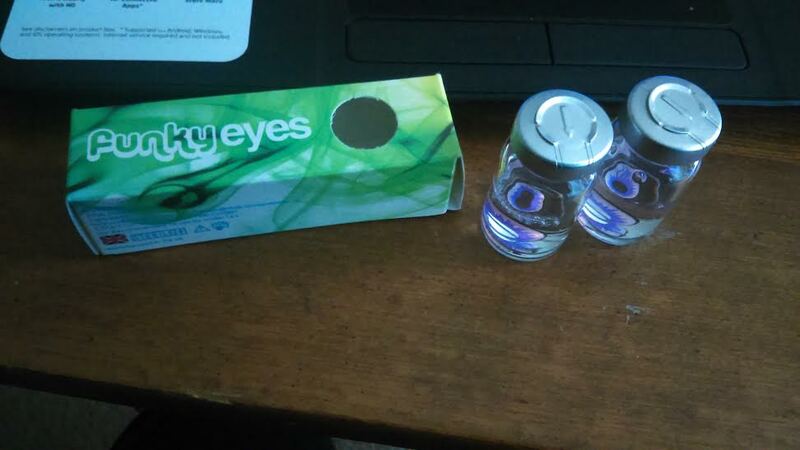 They arrived in this little box, with two glass vials. I got excited just looking at them through the glass. They looked so pretty. I removed them and put them in fresh contact solution to soak for a few hours. They are a deep, bright purple, surrounded by a really nice lavender shade. They are comfortable enough to be worn for a quite a few hours, but make sure to keep some rewetting drops on you, just in case. These contact lenses are Plano, as are all the lenses available from Spooky Eyes. They provide no vision correction, and are simply for cosmetic purposes. You can always wear a pair of glasses on top, if you really wanted to. They also have over 500 other styles, colors, and designs at affordable prices! This includes white contacts, zombie contacts, cat eye contacts, and many, many more.